Oh, wow. 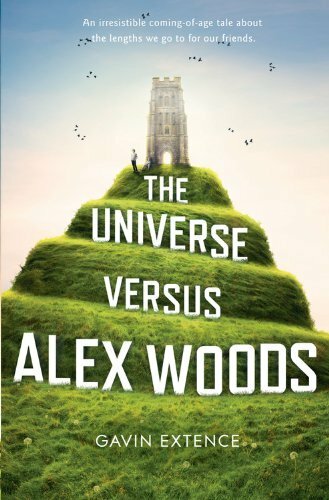 The Universe Versus Alex Woods starts off seeming like it’s gonna be a quirky sort of book: the narration is matter of fact where it possibly shouldn’t be, and the situation Alex is in on the opening pages is an interesting one. Unfortunately for everyone who picked it up on the basis of that, it’s not really the kind of book it turned out to be. I don’t know that I’d call it funny — it’s not laugh out loud funny, anyway; more “wry smiles” funny — and I don’t know that I’d call it heartbreaking, either. It made me cry, but the simplicity of the narrative voice kept it from being maudlin, from dwelling too much on any of the important details, which is what for me made them strike all the more forcefully. It is the story of an unlikely friendship, that’s definitely true, and it’s a beautiful story from my point of view. It’s fairly apparent from the first chapter, to me, what exactly is going on here: what matters is how we get there, and how much less funny/quirky it seems by the end, and how much more sad and true and beautiful. But if you don’t want to know, don’t read any further in this review. What was apparent to me from the beginning is that this is a book about an assisted suicide. It didn’t even need to be stated clearly: trying to get back into the country at Dover, the urn of ashes, somehow it all just clicked for me. Possibly because this is an issue that I’ve thought about at great length, forwards and backwards. Because if I were Alex Woods, I’d do exactly the same things, in exactly that order, and I would feel exactly as right about it. The friendship between the two is the fun and quirky part; the fact that, when Mr. Peterson becomes ill, Alex chooses to take care of him, and then to make sure that he is also allowed to die when he’s ready, and the understanding between the two… This is an idealised version of how this might happen, and the fact that Alex narrates means that we don’t pull up and see this from another character’s point of view — how they might worry about Alex’s reactions, how he might feel — and that might make some people feel that this is a book somehow advocating for euthanasia. Which I think it is, but only in the sense that it makes it clear that to be allowed a choice about how and when we die makes it a lot easier to die — and that for some people ‘how’ and ‘when’ might be very clearly defined, as they are for Mr. Peterson. But I don’t think it advocates euthanasia as the only way. It just emphasises choice, and how very comforting it is to many people to know that they have control over even that last inevitability. It even emphasises choice in smaller matters, like what drugs you take. If you don’t understand why someone would want assisted suicide, this might help. If you don’t understand why someone would want to help someone commit suicide, I think this would definitely help. And if you already understand both of those things, then it’s still something that articulates all this very clearly, and might just give you words or clarity for yourself in the future. I am definitely, definitely keeping this book. I will probably lend it to people, and I hope I never need to read it again myself, but I can imagine times when I might want to. 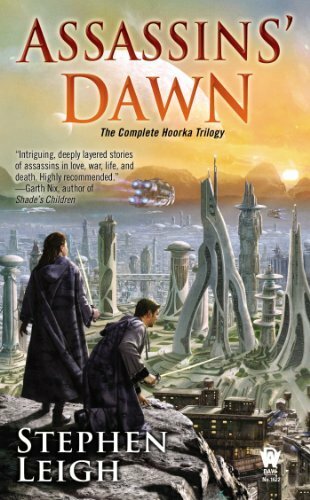 Slow Fall to Dawn is the first book of a trilogy. The basic premise is a sort of feudal clan/guild based system, and we’re following a guild of assassins within it. They have a very specific code, and are completely neutral, but naturally there’s a lot of bad feeling stirred up by a guild of murderers, particularly as they remain neutral (even as that makes them useful to everyone), and the book follows the course of a few events that threaten the stability and perhaps even the existence of the guild. tly it flows very smoothly and while I wasn’t exactly sympathetic to the characters, I understood them and was interested in their conflicts and dilemmas. 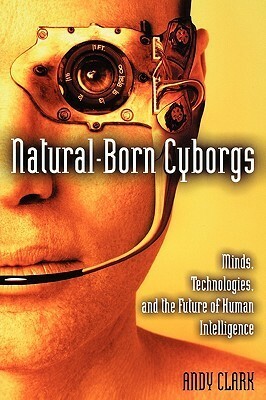 The author cleverly avoids issues of it being an unrealistic science fiction future (i.e. one that’s been well outpaced by reality) by having it set after a civilisation collapse. It’s not the sort of SF that feels like fantasy; it does manage to feel like a world, a society, that has progressed and regressed and generally evolved over time. I actually picked up this book (in the omnibus form) in Belgium, while I was doing a little experiment and only getting books I’d never heard of before, preferably by authors who were new to me too. In this case, I won’t hungrily seek out every book Stephen Leigh might ever have written, but I will happily finish this series. Dance of the Hag kept my attention well, considering I enjoyed but wasn’t that enthusiastic about the first book. Leigh is a better risk taker than I expected, not willing to take the easy way out, and I was also impressed that he managed to make an impersonal character like the Thane of the first book into someone we worry about personally. I like the political background, too — it feels as if Leigh spent some serious time thinking about how exactly his society would work, so that while you might not know everything about it, everything works according to the internal logic of it. It remains a smooth, easy read, and I was surprised (and pleased) that it did actually include a brief (very brief) reference to an LGBT relationship by a main character. That was not the ending I wanted. However, it makes perfect sense with the build-up. Leigh doesn’t go for any easy way out, as I already observed: we’ve been building towards this for the whole trilogy, and Leigh takes us there. It’s also a credit to his skill that where I wasn’t that enthusiastic about the first two books, with the third I actually had to make myself finish because I didn’t want to reach the end, which didn’t for a moment seem like it could be a happy one. So yeah, this series is surprising, interesting, and worth picking up, I think I’d have to say. It’s still a fast read, and it took time to get hooks into me, but once it did, I couldn’t stop reading. Simon Baker’s Ancient Rome: The Rise and Fall of an Empire is a good introduction to Roman history, covering various key points in the history of Rome. Probably not the same key points that someone else would choose, but he makes a decent case for the importance of each stop on the tour. 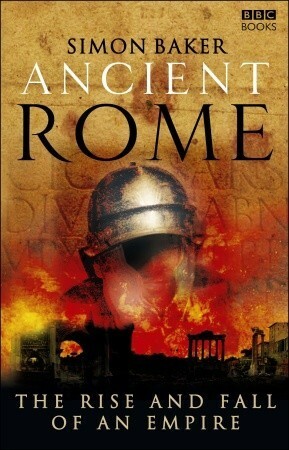 Some people’s reviews say that if you have the most basic grasp of Roman history, this is too simple: I wouldn’t say so. I have a GCSE and an A Level in classical studies, but the effect was a very similar kind of ‘tour’ of Roman history that just picked out different stopping points. So there were some things I didn’t know much about at all. One thing that is a little disappointing is the transitions between each chapters. It isn’t really made clear how the transitions between the different time periods were made — it goes straight from Constantine, for example, to the attacks on Rome by Alaric, without covering the intervening time at all. Even a little timeline at the start of each chapter would’ve helped. Still, Simon Baker’s prose is pretty readable and accessible. If you’re not especially interested in the topic, I still wouldn’t recommend this, as despite the six turning points it uses, it’s still a 400 page volume. A Very Brief Introduction it ain’t. All in all, for me it was okay, but I’ll be donating my copy to the local library rather than keeping it. If you’re looking for SF must-read novels, I would say to start here (or by exploring the original posts on Tor.com) rather than with something like the “100 Must Read” books I’ve been reviewing recently. 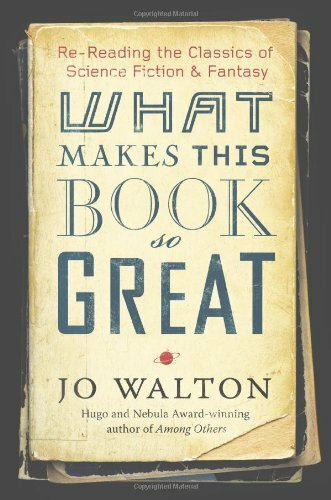 They barely scrape above the level of a list: while they include a bit about each book and why it’s worthwhile, Jo Walton is more passionate, more excitable, more like another fan — she doesn’t claim any kind of authority for her choice in books, doesn’t hedge about including one book over another because it was more influential. 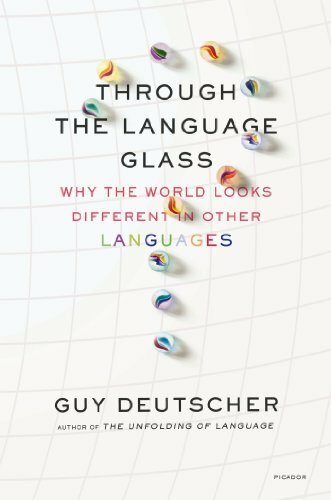 Those “100 Must Read” books are a reference, a list; this book is a conversation. It’s rare for a non-fiction book to keep my attention so strongly as this one did. Part of it is, I guess, that various things Jo Walton’s written resonate right through me — and I also know a little of her personal warmth and kindness. While I’ve spoken to a few authors and even trade tweets semi-regularly with a couple, Jo Walton is the only one who makes me feel that she cares about me as a person and not as a fan to be casually courted. So there’s that: I’m utterly and completely biased about her and her work, and there’s some similar stuff going on in our backgrounds (Welshness, for one thing), and even our non-SF tastes like Heyer and Sayers (and casual references to the same, even in the context of talking about SF). So it’s no surprise that I adored this. It also helps that it’s very easily bite-size. I could read a few entries, then roll off my bed and reluctantly transcribe another few words — or take some of her enthusiasm and interests with me into my slush reading for Lightspeed, or have lunch with my family, or watch a lecture on astrobiology. It’s the enthusiasm that really makes it, though. She makes me want to hurry up and read all the books, not just the ones she talks about, but all of them. And then reread them. She made me sit up in delight and grin and go yes, me too. Or hey, I want that. 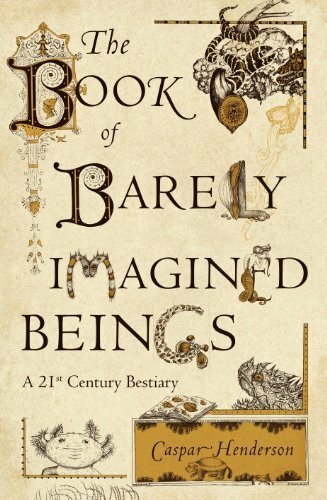 The books may not all be conveniently in print, as the editors of “100 Must Read” books and others of that species try and arrange, but there’s a love of the possibilities of a tiny second-hand bookshop and the charity shop find that had me scrawling down a list of stuff to look for. It’s not a catalogue, a marketing ploy, a competition to be the most well-read — it’s just sharing books and the love of books and our idiosyncrasies about books. 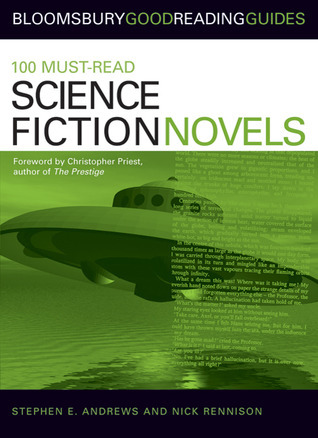 100 Must-Read Science Fiction Novels is, like its fantasy counterpart, pretty predictable in many ways. There are some I hadn’t heard of, but it’s still predominantly from the white male establishment. 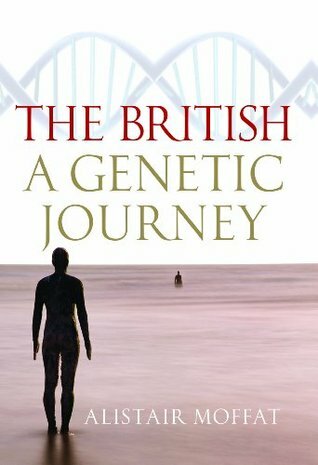 There is some lip service to the increasing diversity of science fiction in the introduction, but that isn’t really carried through to the books. Flicking through it, I landed on female SF writers only twice in 84 pages. On the other hand, the introduction is an interesting whip through of the foundations of the SF genre, and there are a fair number of novels here that I hadn’t heard of or hadn’t got round to yet that are now (higher) on my reading list. As long as you realise that it is limited in scope and not a definitive list of the best SF novels out there, it could be a useful resource. As with the first Captain Marvel book, I liked half the art (Dexter Soy’s work) and then hated the latter half. More so in this one. Carol just looks deformed in half of this. 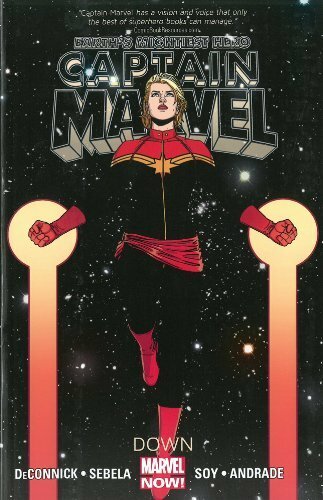 But story-wise, this is another good volume: Carol as Captain Marvel is rash, determined, unstoppable, and the latter half of the book with the worries about her health kept me interested. It doesn’t matter that I’m lacking some of Carol’s backstory — and the Helen Cobb story from the first volume seems to be playing a bit into this, too, which I enjoy. I’m even a bit anxious about Carol and how exactly this will play out. I love her interactions with the people around her. I haven’t read anything with Monica Rambeau as Captain Marvel — actually, I haven’t got round to anything with her in it at all — but I loved her back and forth with Carol. I enjoyed the inclusion of Spider-Woman, too, and Captain America and Tony Stark’s brief appearances. Really need to get hold of The Enemy Within, pronto.